Home > News > 90 Minutes Apart: How is Ithaca Similar to DC? At first glance, Ithaca and Washington D.C. might appear to be worlds apart. One is our nation’s capital, a metropolitan city boasting a population of nearly 694,000 people; the other is a college town with 31,000 full-time residents, aside from a seasonal population of students from Cornell University and Ithaca College. Ithaca is popular for its ‘gorges’ natural splendor, Finger Lakes Vineyards, and rich art scene, while D.C. is a bustling urban area famous for its politics and historical sights. However, with our new non-stop service to D.C., Ithaca has never been closer to our nation’s capital. Beginning October 4th, you will be able to fly from ITH to Washington Dulles International Airport (IAD) in 90 minutes! To celebrate this, we’re taking a look at all the staple trademarks of Ithaca, and broadening our horizons to show that even though Ithaca and D.C. may seem worlds apart, they are more similar than you think. Take a glance upwards in either Ithaca or D.C., and you’ll easily be able to identify these towering beacons rising up out of the city skyline. 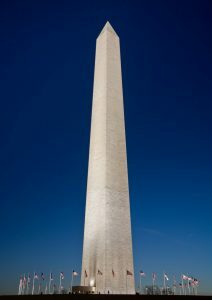 The Washington Monument was completed in 1888 and stands at a whopping 555-feet tall. Cornell University’s McGraw Tower, although shorter than the Washington Monument at 173 feet, is actually older than its D.C. counterpart, having been built two decades earlier in 1868. 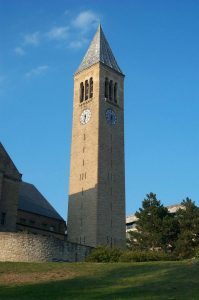 Just as the Washington Monument commemorates President George Washington, the McGraw Tower was named after Jennie McGraw and her father John McGraw, both philanthropists to Cornell University. Both structures are available for tours inside, and while the Washington Monument provides sweeping views of D.C.’s marble metropolis, you might get the chance to ring the Cornell Chimes while taking in the lush rolling hills you can see from McGraw Tower. 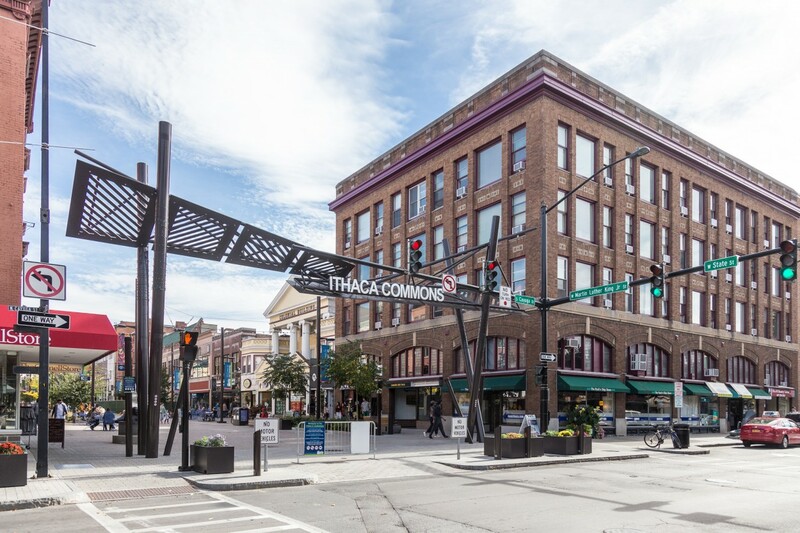 Walking along the Commons, Ithaca’s hub for all things delicious, you can look around and find a diverse array of foods from all corners of the globe. 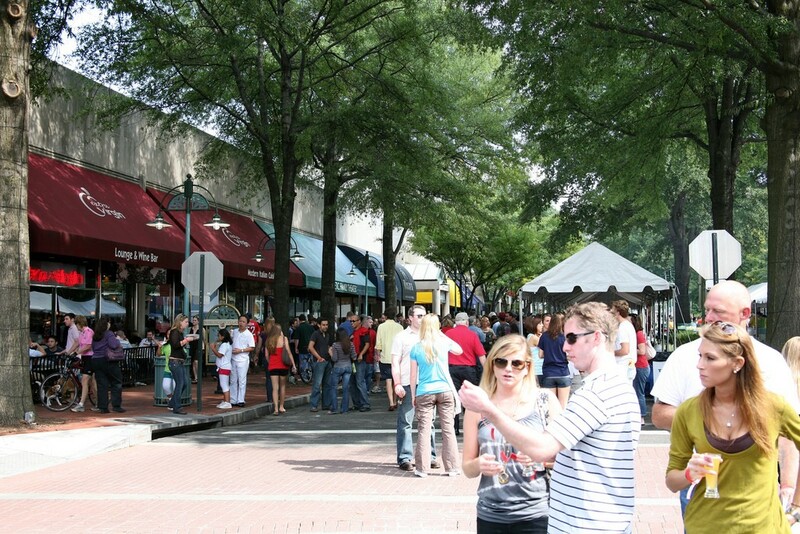 The Village at Shirlington in D.C is a similar foodie mecca located on the Virginia side of the city. It doesn’t matter what kind of food or ambience you’re looking for, you’ll find it held to remarkable standards in Shirlington. For authentic Mexican food and famous margaritas like those found at Viva’s, try Guapos Restaurant, or cross the world by crossing the street and head to T.H.A.I. where you’ll find authentic dishes straight out of Thailand, curbing your cravings for Taste of Thai. For a more relaxed, coffee shop atmosphere, walk over to Busboys and Poets where you can buy a bite and a book in this restaurant and bookshop. Main Entrance of to Smithsonian Museum of Natural History, Washington D.C.
What’s better than a weekend visit to a museum? Why, a weekend spent touring many museums! One of the best things about D.C. is the plethora of museums located within the city; there seems to be one for just about every subject you can think of. The Smithsonian Institute, often referred to as “the nation’s attic” for being the largest museum and research complex in the world, was established in 1846 and named after British scientist and founder James Smithson. 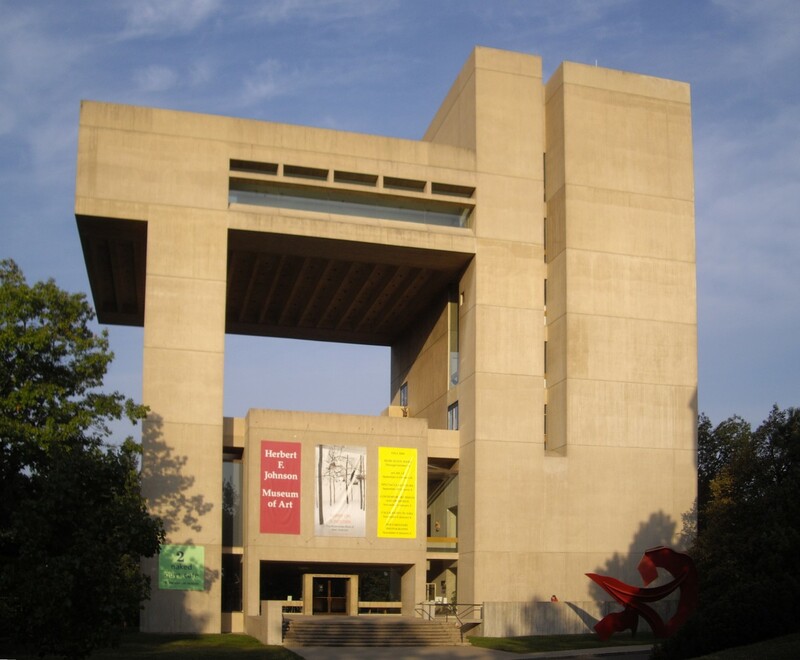 Cornell’s very own Johnson Museum of Art was established in 1973 and named after primary benefactor and alumni Herbert Fisk Johnson Jr. While the sole Johnson Museum of Art sits atop Cornell’s campus, D.C.’s National Mall (not a shopping mall but rather the park that spans from the Washington Monument to the Lincoln Memorial) is home to 11 Smithsonian museums. 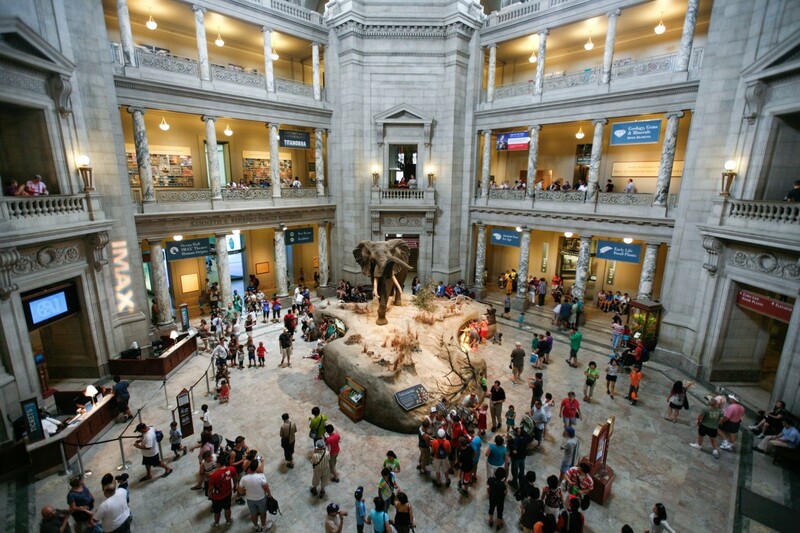 These include the National Museum of American History, American Art Museum, Museum of Natural History, the Air and Space Museum, National Museum of African American Art and Culture, Museum of African Art, and more. The National Zoo is also run by the Smithsonian Institute, is open 364 days a year, is always free. Theater enthusiasts rejoice! 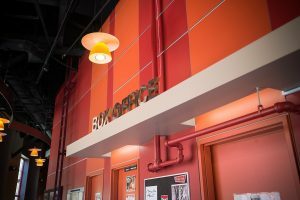 While Ithaca’s Hangar Theatre will always be one of our favorite places to catch an awe-inspiring show, who doesn’t like theater with a good backstory tied in? 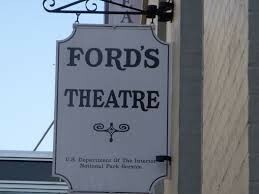 Ford’s Theatre in Washington D.C. may not have the most cheerful history, being the place that John Wilkes Booth assassinated President Abraham Lincoln in 1865, but it still puts on fabulous shows to this day. Between performances, the theater is also open for historical tours, where you can go all the way up to the viewing balcony where Wilkes Booth ambushed President Lincoln, before he made his escape by leaping onto the stage, only to be caught by authorities. Here’s a bonus for those who make it a tradition to see “A Christmas Carol” every holiday season. Both Ford’s and the Hangar put on spectacular performances of this holiday classic. Aside from watching our already beautiful upstate landscape take on striking new tones with the changing of the leaves, one of the best parts about autumn in Ithaca is our annual Applefest! 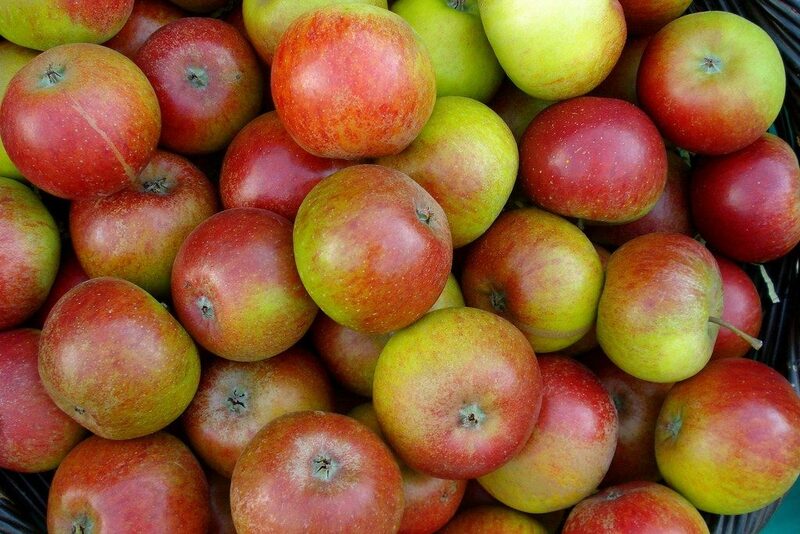 Each September, the Ithaca community gathers on the Commons for a weekend of fall festivities, including live music, games, crafts, food trucks, and of course, the star of the show – hot apple cider! In D.C., they have their own festival to celebrate the changing of the seasons, the world-famous National Cherry Blossom Festival! 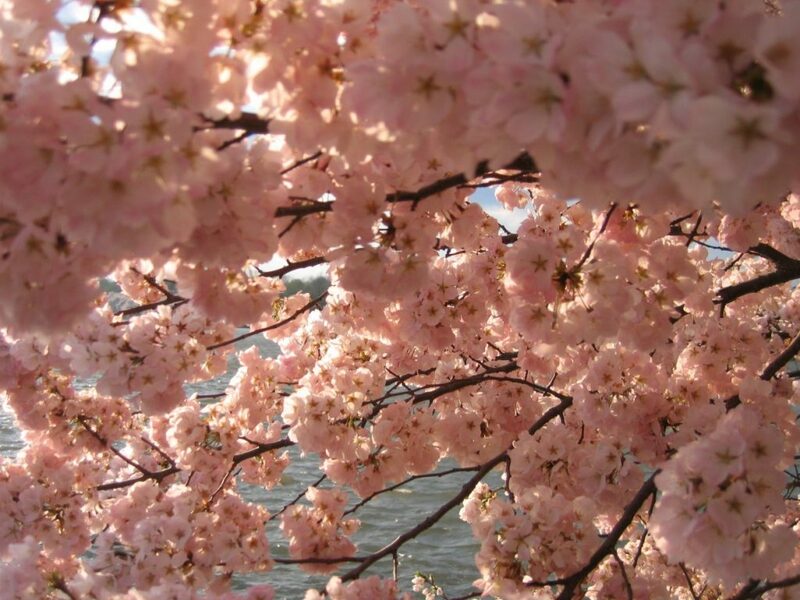 The Cherry Blossom Festival typically runs through late March and early April each year, and is referred to as “the nation’s greatest springtime celebration.” Did you know that all those cherry trees were given to the city of D.C. as gift from Japan in 1912? To this day the breathtaking pink blossoms frame views of the marble monuments all across the city. The mainstage event of the festival is the National Cherry Blossom Festival Parade which features spectacular floats and musical performances. To make the most of any city, it’s important to know how to navigate it. D.C. has its own bus systems, like the Metrobus and $1 per-ride D.C. Circulator, the more popular option is Metrorail. Washington D.C.’s metrorail is one of the most clean and efficient city transportation systems in the world. With stops strategically placed at monuments, museums, hotels, and shopping areas, it’s easy to use the Metro to get where you want to go. 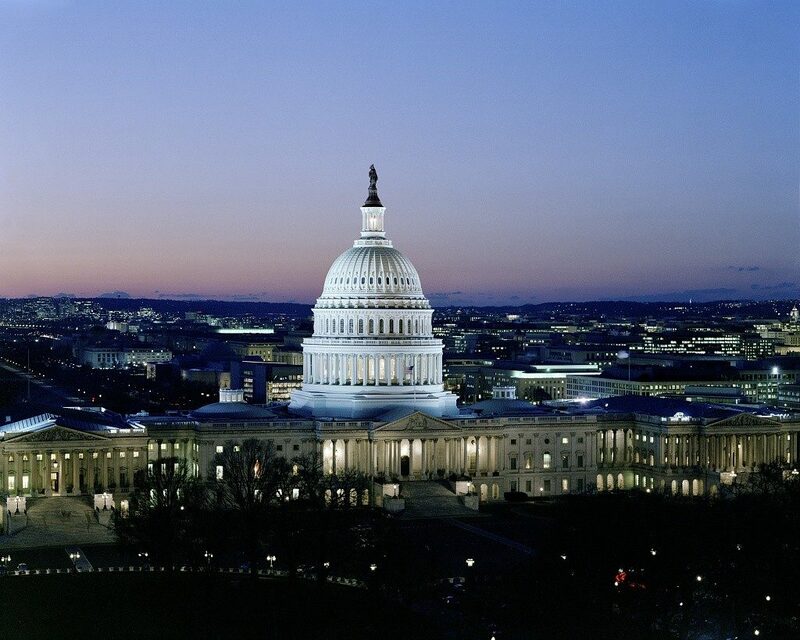 For more information on how to navigate D.C’s transit system, check out our blog 9 of the Best Transportation Options in Washington D.C. If all these wonderful landmarks have you excited about visiting Washington D.C., be sure to book your next non-stop flight through United! Service from ITH to IAD begins October 4th, 2018.